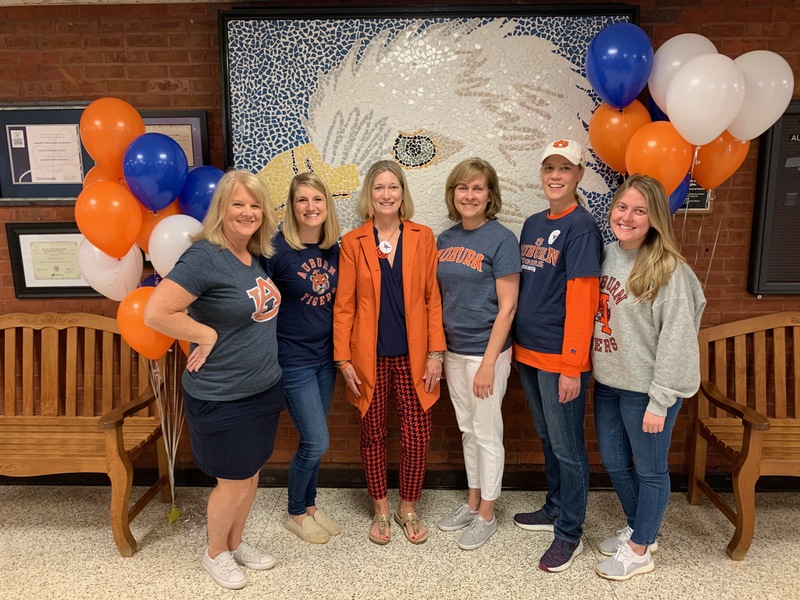 Austin Elementary principal, Dr. Ann Culbreath, has been chosen as Auburn University’s 2019 Outstanding Educator. The school community celebrated by declaring April 10, 2019, as Austin “War” Eagles Day. Students, parents, and teachers wore orange and blue and presented Dr. Culbreath with a Proclamation and letters of congratulations. This award adds to a long list of accolades for Austin, including the school’s recognition as a National Blue Ribbon School of Excellence in 2018 and Platinum Award Winner for four years in a row from the Governor’s Office of Student Achievement. Congratulations on this honor, Dr. Culbreath! We are so fortunate to have you as our leader. Thank you for all you do for Austin!